We use technology daily in my room. We have both chrome books and iPads and love both! One of my favorite ways to use technology is through book clubs. I love having book clubs in the classroom. I love when students are reading books that they enjoy, but also reading them with their friends. What I hate about book clubs is all the copying for the different groups. So, I changed to all digital book clubs! My students will read their pages for the week and then complete a book club sheet on their Google Drive. Each week I have students read a certain amount of pages and work on the skill that their group needs to focus on. Then, when they come to meet with me they bring their computer and book. We discuss what they read and then focus on that specific skill. Before they leave I will teach them the skill they will work on next week and give them the assignment! The best part is all I have to do is post the different sheets on my Google Classroom. Gone are the days of copying five copies of all these different types of paper! 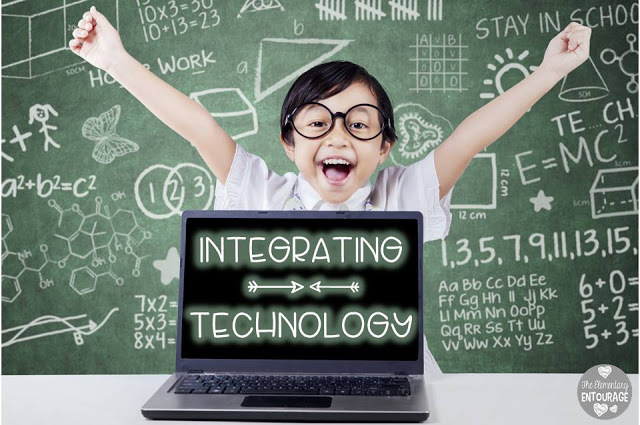 Students are much more motivated because they love using the computers! Also, with computers you can add more color which adds engagement for kiddos! 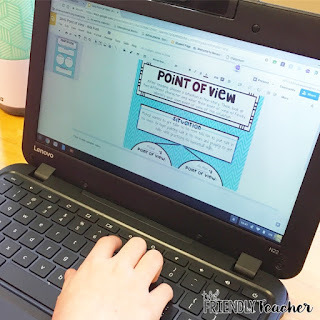 Here is a kiddo completing the point of view assignment after reading their book club pages! 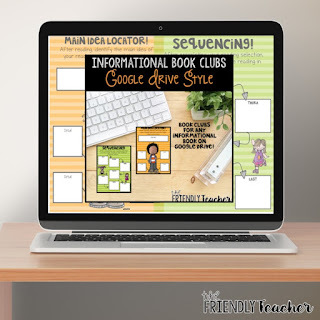 Check the digital book clubs out here! that is very nice post and very informative and knowledgeable post. So thank you for sharing with us. we have some related posts. Online assignment help by My Assignment Services has been trusted by millions of students worldwide for over a decade. We have been providing complete academic assistance to students struggling with their college and university tasks. Whether it is an essay, dissertation, case study or any other form of assessment, you can trust us for 100% original, well-researched and referenced academic documents that ensure High-Distinction grades. A Essay Writing Help, academic services provider such as My Assignment Services, is well-known for its 24-hour online assistance on the WhatsApp platform. Students can reach out to us with their queries at any point of the day or night and get the most effective solutions for them. Our best online academic help experts talk about how to select and evaluate the right academic sources, You can Buy Assignment which will help you clear all your assignment-related doubts at low cost. I don’t usually comment on blogs.But this blog is so convincing that I could not stop myself. Students who struggle with their homework can take inspiration from here. For cheap and best Assignment Help, this is an ultimate platform to look forward. We have been into the education industry from past few years. We are GoAssignmentHelp which offers online assignment writing help, assignment help Perth for students and learning professionals. Take the advantage of nursing assignment help or all assignment help only at our one-stop destination for assignment needs. For Best Assignment help in Australia for 24*7. Let me present you a comic book script example which you will definitely adore if you are either comics lover or comics writer. If you want to know how to write a comic book or learn more about comic book script format, our article will be helpful! Just ask us to write my assignment for me, StudentAssignmentHelp acts as helping hand to stressed students and provides the best solutions with 100% satisfaction. You will have to write a chapman university supplement essay if you have decided to enter this university. I allso suggest looking and reading the example of this application essay in order to have the idea how to do it the best. Designed by PJ's Design Laboratory.